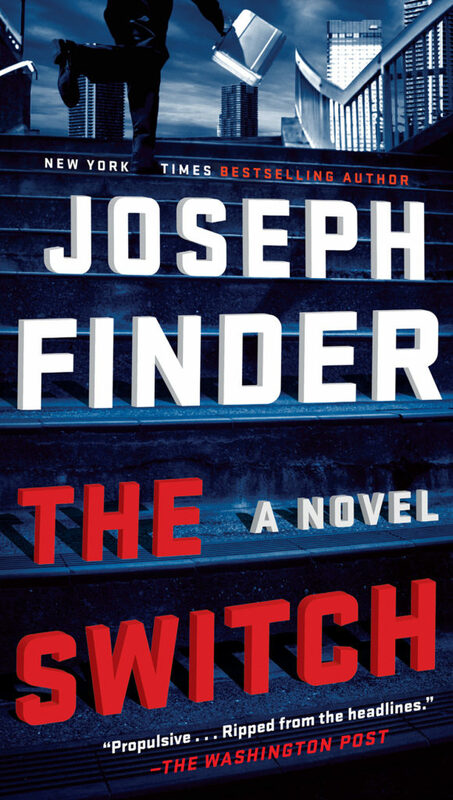 A simple mix up throws one innocent man into the crosshairs of sinister government secrets and ruthless political ambitions in New York Times bestselling author Joseph Finder’s timely, electrifying new thriller. Michael Tanner is on his way home from a business trip when he accidentally picks up the wrong MacBook in the TSA security line at LAX. He doesn’t notice the mix-up until he arrives home in Boston, but by then it’s too late. Tanner’s curiosity gets the better of him when he discovers that the owner is a US senator and that the laptop contains top secret files. When Will fails to gain Tanner’s cooperation, he is forced to take measures to retrieve the laptop before a bigger security breach is revealed. He turns to an unscrupulous “fixer” for help. In the meantime, the security agency whose files the senator has appropriated has its own plan, darker still—and suddenly Tanner finds himself a hunted man, on the run, terrified for the safety of his family, in desperate need of a plan, and able to trust no one. "Great characterization, heart-stopping chase scenes, a plot that never flags—and even a few fascinating facts about coffee sourcing. Finder may well be the best contemporary thriller writer going." "The book whizzes by so quickly and suspensefully... A master of what might be called the 'man in over his head' thriller, Finder delivers a tense, uncannily relevant tale about government secrets falling into the wrong hands... Seemingly ripped from recent headlines, Finder's latest is one of his most fiendishly plotted and eerily relevant thrillers." "Finder once again shows his knack for crafting an engaging thriller." The security line snaked on forever, coiling around and through the rat maze of stanchions and retractable nylon strapping. Michael Tanner was in a hurry, but LAX wasn’t cooperating. Usually he went TSA pre-check, as well as Global Entry, and every other way you could speed up the security line hassles at the airport; but for some reason his boarding pass had printed out with the words “precheck” ominously missing. Maybe it was random. Maybe it was just a personnel shortage. They never explained why. His flight was about to board, but he was near the end of a crawling line of harassed travelers trundling rollaboard cases and shouldering backpacks. Tanner traveled constantly for business, and he was good at it. He glided through the lines, a travel ninja.. But this time? Shoes off! Belt off! He realized he was out of practice. How long had it been since he’d gone through the whole indignity? He yanked his belt off, slid off his loafers, put them in the gray plastic bin and shoved it along the roller conveyor, padding along in stocking feet. He took his laptop out of his shoulder bag, put it in a gray bin of its own, watched it disappear into the maw of the X-ray machine. His jacket, too, he remembered. Pulled it off and shoved it into another gray bin. Tried not to slow down the line. He glanced at his watch. His flight to Boston was boarding, had to be. If he re-shoed and re-belted and grabbed his stuff quickly, and raced to the departure gate, he’d make it onto the plane before they closed the doors.